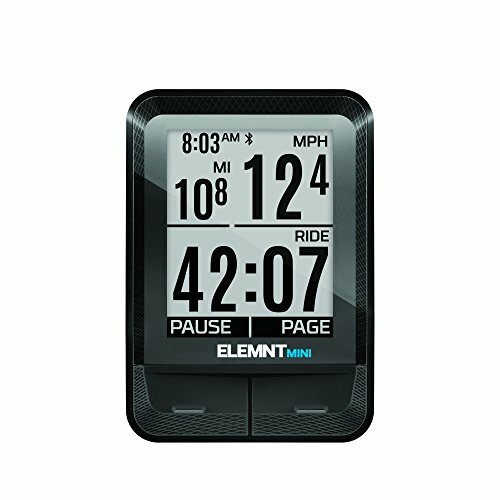 Small, simple, and super powerful - the element mini is the perfect sensor based bike computer from the company that has reinvented the way you interact with your bike computer. Provides accurate speed, distance and time as a standalone computer or pair with your phone for enhanced features such as GPS tracking. Download, pair, configure and ride! Wahoo's companion app automates pairing and manages the configuration process for fast, frustration free setup. Phone Free Mode - Speed, distance, time, cadence and heart rate. Summary data at the end of your ride. Phone Enhanced Mode - All the features of phone free mode + GPS live tracking, call/text alerts, and full fit file data at the end of your ride. Includes Wahoo RPM Speed sensor and stem mount. Sensor compatibility: pairs to Wahoo TICKR, TICKR X, RPM Speed, RPM Cadence, and Blue SC dual-band sensors. If you have any questions about this product by Wahoo Fitness, contact us by completing and submitting the form below. If you are looking for a specif part number, please include it with your message.